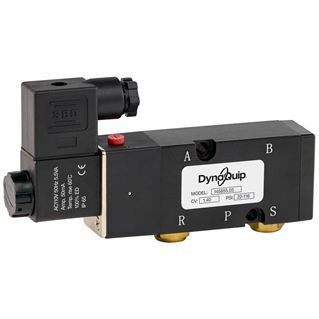 Pilot solenoid valves electrically control the air supply coming into the actuator. Standard NEMA 4 Housing (additional NEMA ratings available). The solenoid pilot valve pressurizes and exhausts the actuator piston compartments to cause the actuator to move. The 4-way solenoid pilot valve mounts directly to the actuator, reducing response time and saving the cost of tubing brackets and labor. Mounting pattern follows the NAMUR connection standard. NEMA 4, 4X enclosure Additional NEMA ratings and voltages are available. High contrast indicator for instant visual notification.